There are millions of people using the internet each day. If you are a website owner these people should be your main priority. Millions of searches are done on Google and other search engines every second. Are you sure they can find your website? Is it coming up in their search results? You can purchase an SEO consulting service from search engine optimizers. Though most of them have their own website they don’t need to. You can check forums such as forums.digitalpoint.com to receive SEO consulting services from well-educated people who are knowledgeable in SEO. Forums are probably the best way to go in this economy. An SEO consulting service can be expensive. If money isn’t an issue for you, good. Though expensive, you are getting a service that will eventually pay for itself and be well worth it in the end (if done right). To be absolutely sure you’re going to the right person and not wasting your money, try asking for a quote. I know of a few that offer free quotes. To find them just Google “SEO Consulting Service“. I would recommend you stay away from a company called Beanstalk. They charge $250 an hour for consulting, $250 an hour plus another $100 an hour if the job requires traveling and $50 per question that you have about the services. * Increase your website traffic. * Search Engine friendly site will place you higher on results pages. * Expand the reach of your online audience. * Receive measurable results that you can manage. 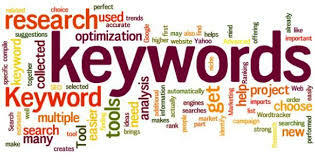 SEO is necessary if you own a website so get your consultation as soon as possible. Good luck! We can offer better traffic at half the price you're paying a Trek! Did you know ad companies are able to track your referral due to Trek's insecure system? We, LogiTraffic, have a system that is both smart, untraceable and secure. Try us out, we have special price of: $0.01/Standard and $0.04/Search. P.S. As a limited time bonus, We'll add 100 Free Visitors to your website after your First Purchase! Mention SPECIALJANFEB2010 with your username and ad ID. We'll credit the 100 Visitors for account for FREE!